The grant of new Charters is rare, reserved for eminent professional bodies or charities which have a solid record of achievement and are financially sound. In the case of professional bodies they represent a field of activity which is unique and not covered by other professional bodies. Royal Charters have perpetual effect. 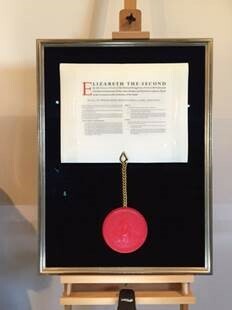 CICM was awarded a Royal Charter to take effect 1 January 2015. It is produced as a high-quality work of calligraphy on vellum.